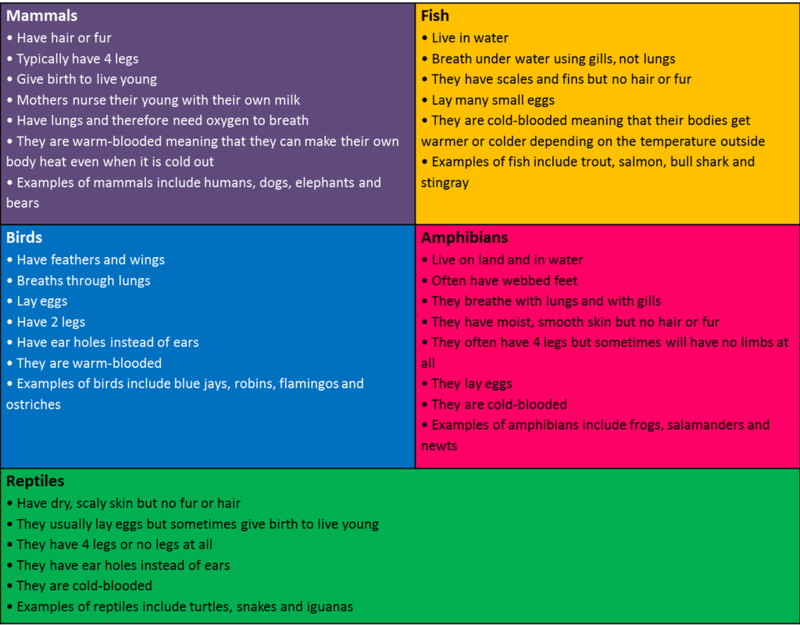 ​6.L.4B.1 Analyze and interpret data related to the diversity of animals to support claims that all animals (vertebrates and invertebrates) share common characteristics. It is essential for students to know that the Animal Kingdom is divided into 35 different phyla. ● These phyla can be classified into two groups (vertebrates or invertebrates) based on external and internal physical characteristics. ○ They are heterotrophs (cannot make their own food) and must get their energy by consuming plants or other animals. ○ Their major functions are to obtain food and oxygen for energy, maintain their internal conditions (ex. body temperature), move, and reproduce. Only one phylum of animals is comprised of vertebrates which includes fish, amphibians, reptiles, birds, and mammals. Have a backbone, an internal skeleton (endoskeleton), and muscles attached to their bones. ● Have blood that circulates through blood vessels and lungs or gills for the exchanging of gases (oxygen and carbon dioxide). ● Have a protective skin covering. ● Have legs, wings, or fins for movement. ● Have a nervous system with a brain that processes information from their environment through sensory organs. 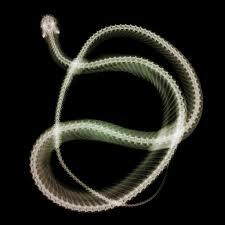 Vertebrates differ from each other in the way that they control their body temperature. ● Some vertebrates (fishes, amphibians, and reptiles) are ectothermic (cold-blooded).Their body temperature changes in response to temperature changes in their environment.. Other vertebrates (birds and mammals) are endothermic (warm-blooded). Their body temperature remains constant regardless of the temperature of the environment. ● Are ectothermic, obtain dissolved oxygen in water through gills, most lay eggs, have scales, have fins, and live in water. ● Are ectothermic, most can breathe in water with gills as young, go through metamorphosis and breathe on land with lungs as adults, and lay jelly-like eggs. ● Major groups include amphibians are frogs, toads, and salamanders. ● Frogs and salamanders have smooth, moist skin, through which they can breathe and live part of their life in water and part on land. ● Toads have thicker, bumpy skin and live on land. ● Are ectothermic, breathe with lungs, most lay eggs, although in some the eggs hatch inside the female, and have scales or plates. ● Are endothermic, breathe with lungs, lay eggs, have feathers, and have a beak, two wings, and two feet. ● Are endothermic, breathe with lungs, most have babies that are born live, have fur or hair; and produce milk to feed their young. ● Do not have backbones or internal skeletons. ● Some have external skeletons, called exoskeletons. ● Very simple animals that have many pores (holes) through which water flows. ● Water moves into a central cavity and out through a hole in the top. ● Sponges obtain their food and eliminate wastes through this passage of water. ● They have specialized cells for obtaining food and oxygen from the water. ● Have long tube-like bodies that are divided into segments. ● Simplest organisms with a true nervous system and blood contained in vessels. ● A long digestive tube runs down the length of the worm’s inner body. ● Take in dissolved oxygen from the water through their skin. ● Examples of segmented worms may be earthworms and leeches. ● Have arms that extend from the middle body outwards. ● Have tube feet that take in oxygen from the water and spines. ● Examples may be sea stars, brittle stars, sea cucumbers, or sea urchins. ● Have soft bodies; most have a thick muscular foot for movement or to open and close their shells. ● Have more developed body systems than sponges or worms. ● Take in oxygen through gills or lungs, and some have shells. ● Examples may be slugs, snails, clams, and octopuses. ● Have jointed legs, segmented bodies, and some have wings. ● Have hard outer coverings called exoskeletons. ● Obtain oxygen from the air through gills or air tubes. ● Examples may be insects, arachnids, and crustaceans. 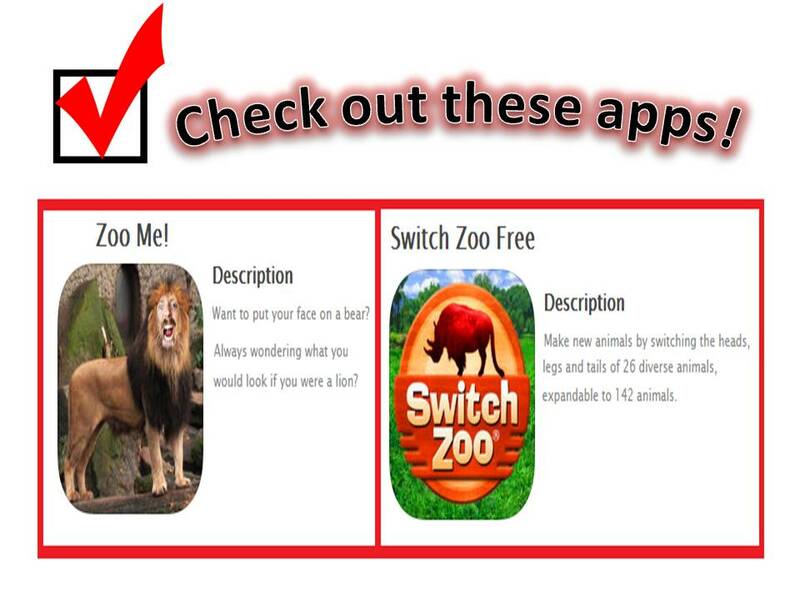 • Students should be able to explain how the different characteristics of the vertebrate groups allowed them to adapt to new environments. 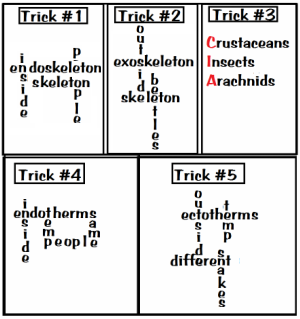 • Students can research different animal phyla and describe the characteristics that make that phylum unique. 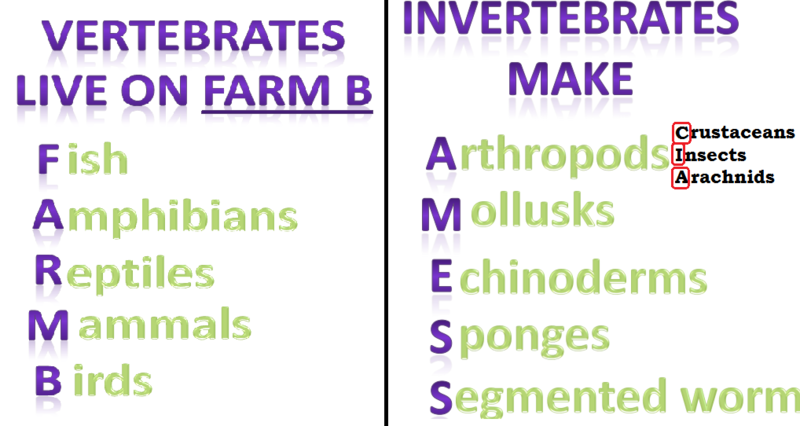 The objective of this indicator is to analyze and interpret data to support claims that all animals (vertebrates and invertebrates) share common characteristics. Therefore, the primary focus of assessment should be for students use primary and secondary sources to (1) reveal patterns and construct meaning or (2) support hypotheses, explanations, claims, or designs that all animals share common characteristics despite their diversity. This could include, but is not limited to, students analyzing data about animals and grouping them according to similarities. 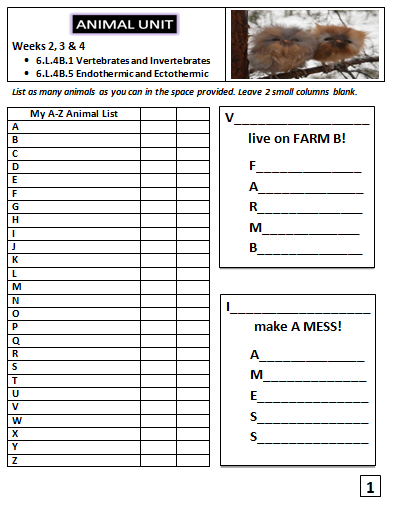 Based on the patterns this reveals, students should be able to determine the key characteristics of all animals including vertebrates and invertebrates. In addition to analyzing and interpreting data, students should ask questions, plan and carry out investigations, use mathematics and computational thinking, engage in argument from evidence, construct explanations, develop and use models, obtain, evaluate, and communicate information, and construct devices or design solutions.